In The Right Address, Carrie Karasyov and Jill Kargman seared through the upper crust of New York’s glitterati with wicked glee. In their delicious new novel, Wolves in Chic Clothing, they train their merciless spotlight on the young princes and princesses poised to inherit Park Avenue. 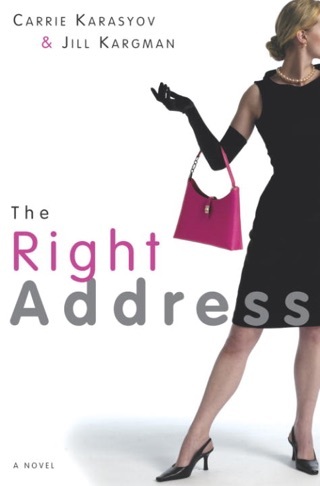 Julia, a hip, downtown salesgirl at Pelham’s jewelry store, finds her social life turned on its head when she is asked to deliver a necklace to the store’s young heiress, Lell Pelham, on Lell’s wedding day. Beguiled by Julia’s earnest cluelessness and her vintage-chic vibe, Lell and her gang adopt Julia, and “Eliza Doolittle” her into passing as the heiress to a family fortune, just for a laugh. Dazed by the whirlwind of trust funds, pedigrees, Cosmopolitans, and penthouses in her new world, Julia is unprepared for the ardent advances of Lell’s husband—or the vicious claws her new “friends” develop when they decide Julia is an ingrate, and demote her from society goddess to penniless cling-on with one well-timed editorial. Suddenly, she must return the borrowed couture clothes and try to remember who she was before the body snatching took place. 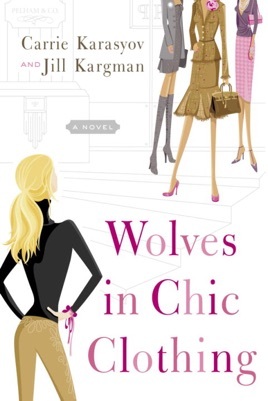 Hilarious and completely addictive, Wolves in Chic Clothing is a modern-day rags-to-riches-and-back-again fairy tale that will leave fans stamping their Manolo Blahniks for more. Riding on the designer coattails of their The Right Address, this duo best friends since first grade lampoon the elite they know and love/loathe with a story that's as buoyantly vapid as their stock characters. 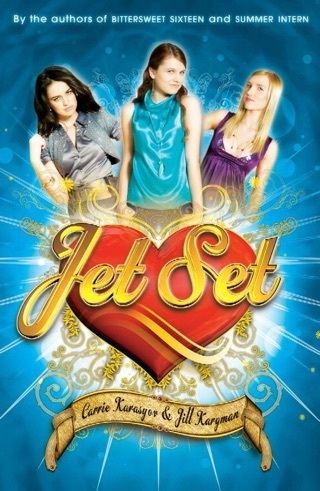 This time, the plot involves the junior jet set: a few preening Manhattan princesses decide to remake a fresh-faced girl in their own airbrushed image, Henry Higgins style. Julia Pearce, a downtown hipster with vintage-chic style and natural beauty, works as a salesgirl in Pelham's Department Store, where she's caught the eye of the Pelham heiress, Lell. 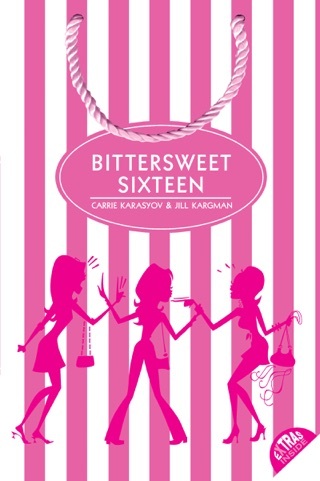 Out of winter ennui, Lell and her gaggle of girlfriends decide to take on this "charity case" who bemusedly welcomes the attention bestowing upon Julia a promotion, a fake pedigree and an uptown makeover. As she forsakes burgers for salads, thrift stores for Ralph Lauren and joie de vivre for too-cool cattiness, Julia's ascension from day laborer to Pelham power player affords her the chance to pursue her dream of jewelry design. But it also estranges her from longtime friends, puts off her love interest and attracts the advances of Lell's sleazy new husband, Will predictably wreaking havoc for everyone. The authors intend to mine humor from tossing Julia to the snarks er, sharks. But this fish-out-of-water story gasps for air, and even the authors' swipes against society feel familiar and bloodless.